I received product via Smiley360 for the purpose of review. All opinions are 100% honest. Many of us have brittle nails, slow growing nails, unhealthy skin and slow growing lack luster hair. I'm sure plenty of you have tried endless lotions and potions, but when it comes down to it, it all starts inside the body. 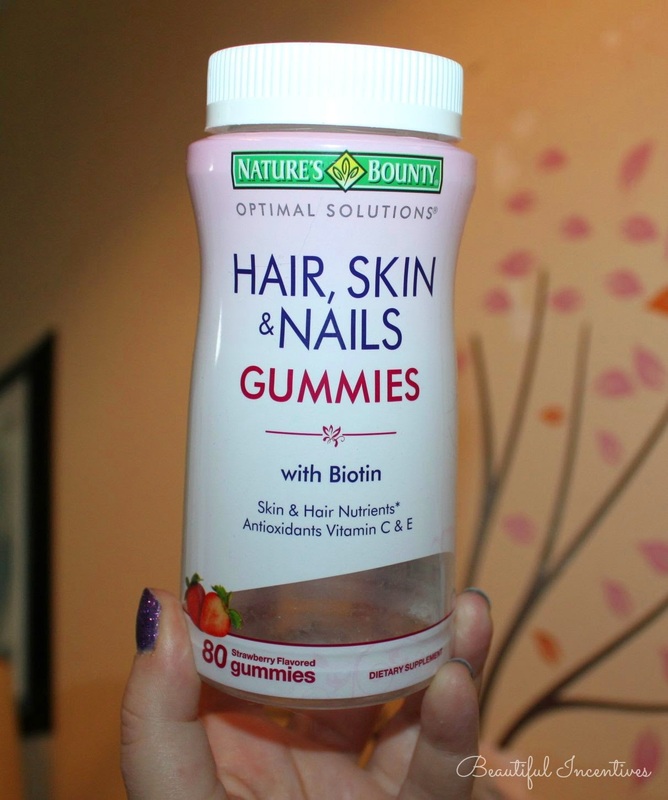 You have to treat it inside out and that requires vitamins, lots of them, and the majority should be biotin. This is the specific vitamin that claims to combat all of that or at least some for most people. 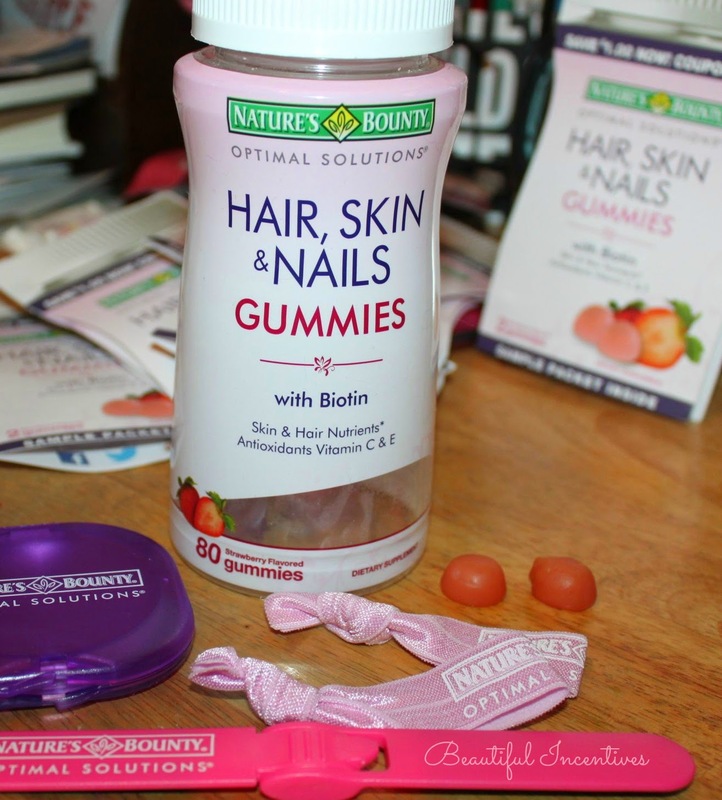 I took the 30 day Challenge to better hair, skin and nails, with Natures bounty Hair Skin and nails gummies. It is a new product that packs a punch of Biotin, along with a little Antioxidant power of Vitamin C and vitamin E. What I hate about vitamins is that a lot of them come in huge horse pills. This one I can safely say is awesome, just for the fact they're a gummy like consistency. They are easy to swallow and very tasty gummy chews. They pretty much taste akin to candy and I can barely taste the actual vitamins. The only caveat I have is that they are made with lots of sugar and corn syrup. I wish they would use something else like Erythritol or Stevia, as I try to stay away from most sugars not naturally occurring in fruits. Having said that, I do love that these vitamins contain NO milk, artificial flavors, lactose, soy, gluten, wheat, yeast, fish and they are sodium free. That's a lot of de-gunking. The verdict: I took 2 gummies twice a day for 30 days. Upon completion of my 30 day challenge, I did indeed see results. My hair grew a bit faster. I had just trimmed it and noticed it grew back in a month. I didn't notice a change in my hair aside from that, because well, hair is dead. My nails definitely grew faster and felt stronger. One thing I noticed is that they stopped peeling. I had a big problem with that. the peeling ceased mid way to when I was almost done with the challenge. My face also felt smoother and I have not switched up my routine in the last 30 days. It is prone to dry spots and I noticed less. It think it may have possibly helped with my acne too, but I have been on a new sulphur soap, so i'm not sure. My skin did however feel softer to a very noticeable degree. These are all subtle changes, but when you live with your body so long, you notice these things right away. You'll notice in the pic below that I have nil dry patches. Normally I have them right around my chin and cheek area. Would I stay on Optimal Solutions? I do like what they did for me, but I'd have to decide if I wanted to ingest that sugar every day. Right now, I am on a detox, so I will have to pass up another bottle, but in the future I may pick it back up. This is definitely the cheapest and most convenient form of biotin available, compared to the expensive horse pills on the market. So if sugar is not an issue for you right now, I would highly recommend this as part of your daily vitamin regimen. 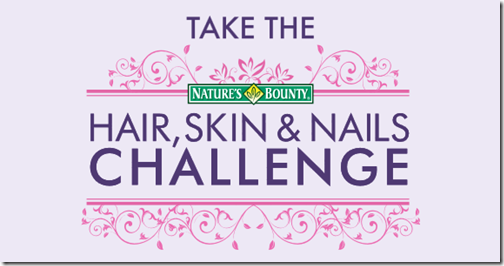 For more information, visit the Nature’s Bounty website, Like Nature’s Bounty on Facebook to keep up with promotions and grab your $1.00 off coupon !